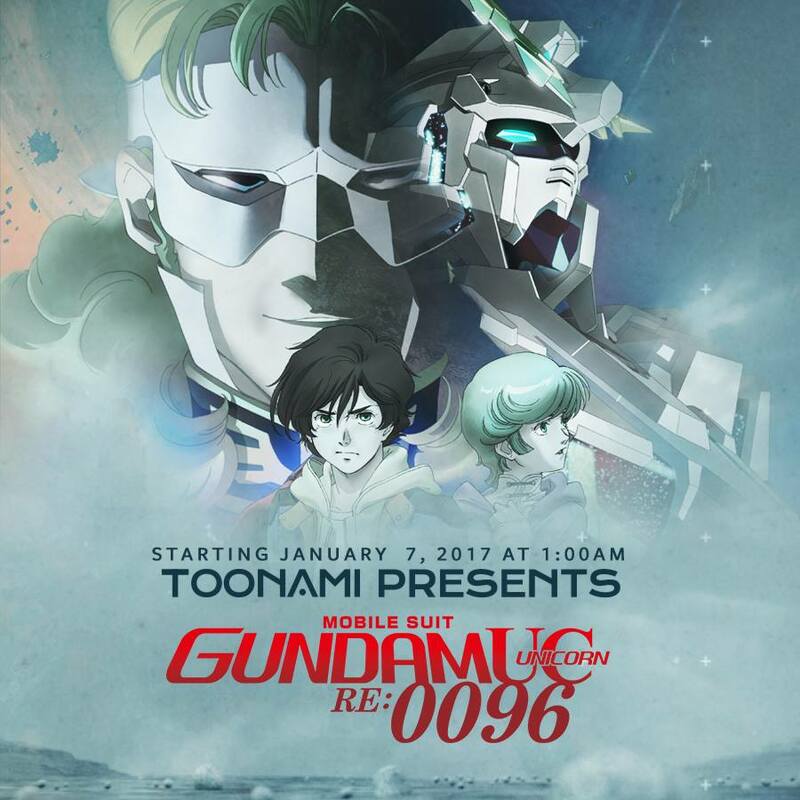 Toonami announced yesterday the addition of Mobile Suit Gundam Unicorn RE:0096 to their viewing block. The series will be taking the slot Mobile Suit Gundam: Iron Blooded Orphans currently holds at 1:00 a.m. Get ready for more mech action when the series premieres on January 7th, 2017. U.C. 0096. Three years after Char’s Rebellion, Banagher Links, a boy living at the manufacturing colony Industrial 7, meets a mysterious girl who calls herself Audrey Burne. Audrey claims that she is trying to stop the Vist Foundation from handing over Laplace’s Box to the Neo Zeon remnants known as the Sleeves, an act which could spark another war, and Banagher decides to help her. But the colony becomes a battlefield as fighting breaks out between the Sleeves and the Earth Federation Forces, who have also come to stop the handover. As Banagher runs through the battle in search of Audrey, he has a fateful encounter with a white mobile suit, the Unicorn Gundam, which is the key to Laplace’s Box. What is Laplace’s Box? What secret does it contain? The hundred-year curse of the Universal Century is about to be resolved.